Showing 3 articles from August 5, 2014. 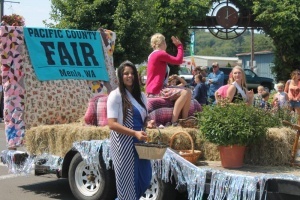 Last weekend's Willapa Harbor Festival brought the community together with great music, food, and activities for all ages. Local voting results ranged from fairly consistent to wildly different went compared to precincts across Lewis County. Below are breakdowns of how voters among our readership selected their candidates, according to precinct information reported as of Friday afternoon. Preliminary voting results are in and, despite an anticipated low turnout for a Primary Election, several winners, some clear and some not-so-clear, have emerged among multiple hotly-contested races. In the six-man tussle for Lewis County Commissioner, Silver Creek resident and White Pass Middle/High School Principal Gary Stamper led with 28.65 percent of voter support, while Chehalis resident Rich Bainbridge came in second with 19.64 percent. The other four contestants retained numbers in the tens and teens.